Not sure what to make for dinner? Or maybe you’re hoping to lose a little weight with the help of a meal delivery service? 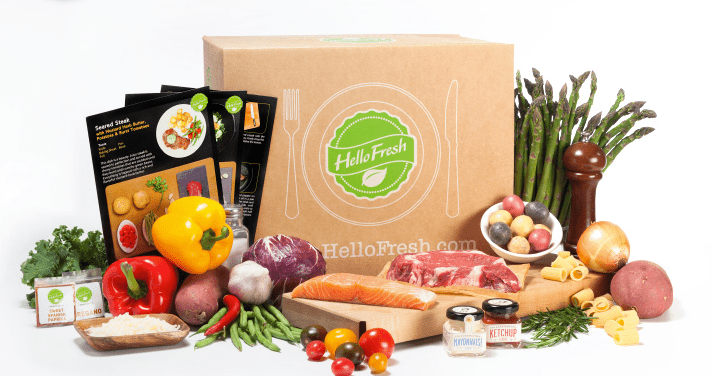 Hello Fresh is one of America’s most popular meal delivery services. With healthy menu options and a full nutritional break down of each recipe, meal planning has never been easier. And neither has cooking. 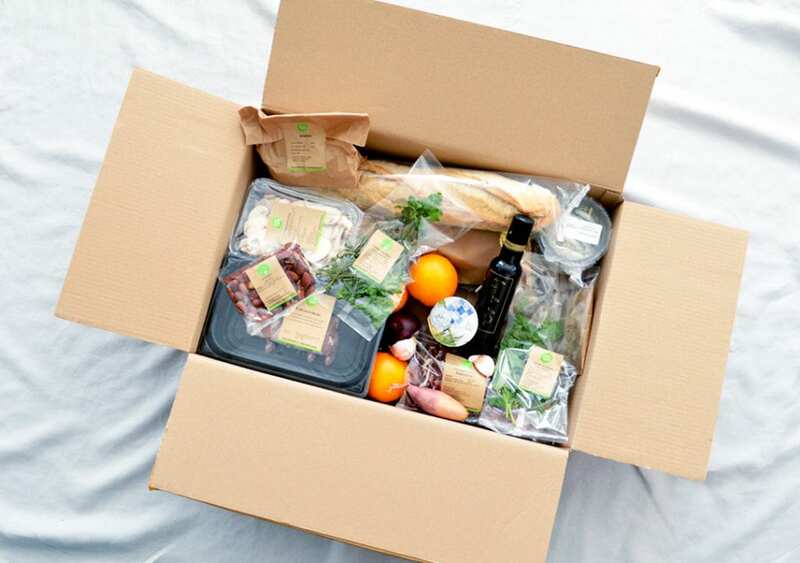 Read our full Hello Fresh review to see if this is the best meal kit delivery option for you. With Hello Fresh, you can choose between a variety of delicious plant-based or meat recipes created by expert chefs. It’s a convenient service for both omnivores and vegetarians alike. Each recipe is designed to be easy to make in the comfort of your home, in under 30 minutes. Luckily Hello Fresh makes it easy for even novice home cooks to recreate the recipes. Farm fresh ingredients are delivered to your door with recipe cards that offer photo guidance. If you haven’t spent much time in your kitchen, it might take you a little longer than 30 minutes to whip up the recipes. However, the detailed photo instructions make it almost impossible to mess up the meals. 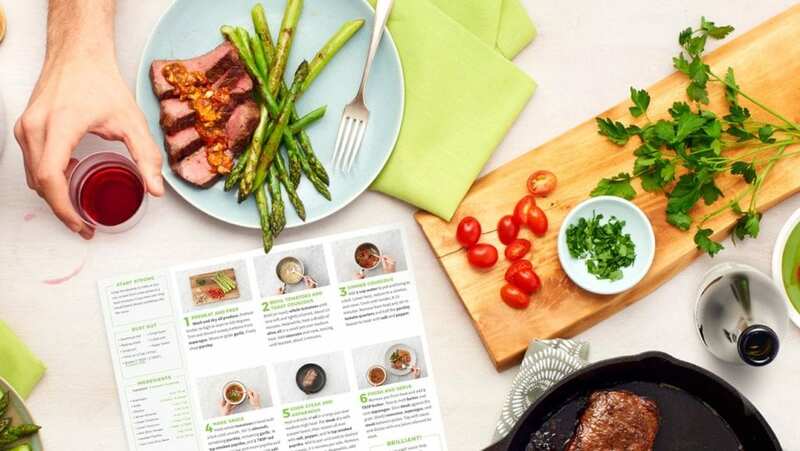 In a Consumer Reports test of Hello Fresh recipes, 6 out of 6 meals tested were rated as very good. Although the test did note that some recipes took a little more than 30 minutes to make. Prep time can be dependent on the cook’s culinary skills and experience. 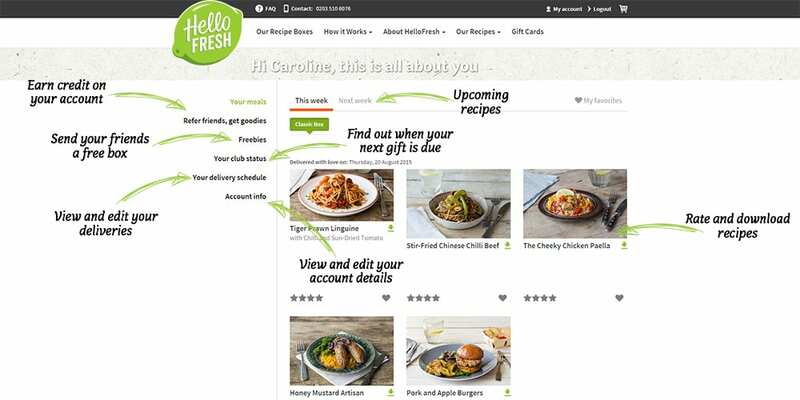 Delicious recipes: In taste tests and Hello Fresh reviews, recipes from Hello Fresh have been rated as “very good.” With Hello Fresh, you can feel confident that you’ll get delicious food. 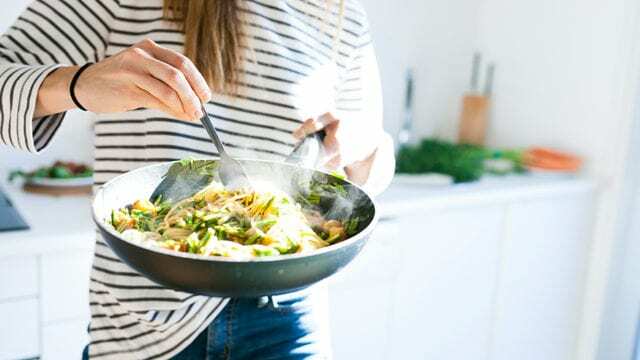 Diet-friendly options: Hello Fresh regularly offers both vegetarian and meat recipes, and you can easily modify recipes to allow for diet or allergy restrictions. 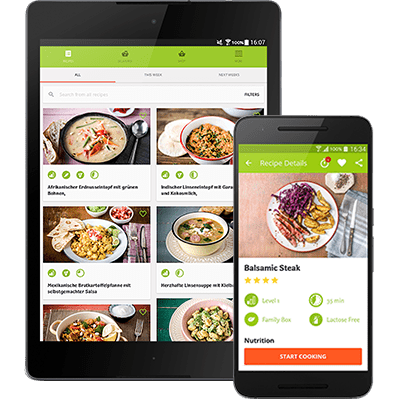 Easy account management: You can choose your meals, look at your billing information and see delivery date conveniently from the app or the website. Easy-to-follow instructions: Some meal kit services have instructions that are more difficult to follow. Hello Fresh offers photo instructions with all the detail you need to create delicious meals. Farm fresh ingredients: Hello Fresh always sends high-quality ingredients from farms. They work with family-owned providers and only use sustainable, wild-caught fish. Meat and poultry come from farms and ranches with the highest quality standards. Full nutritional breakdown: If you like to know the exact nutritional values of the recipes you make, you’re in like. Hello Fresh provides all of these for you. Long prep times: Some recipes take longer than 30 minutes to make, particularly if you’re inexperienced in the kitchen. Minimum order serves two people: If you want a meal service just for you, you’ll need to be okay with leftovers if you choose Hello Fresh. No vegan options: Some recipes can be adjusted to be vegan, but the recipes aren’t designed to fit this diet. 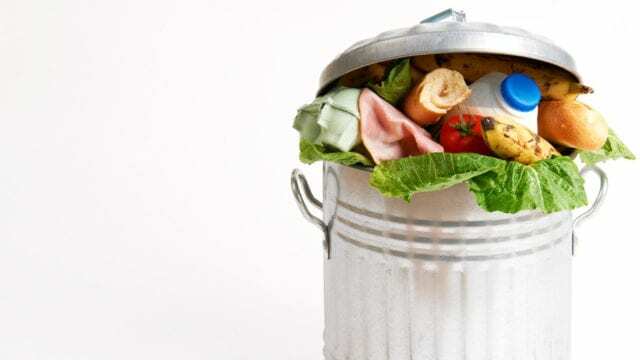 Some Hello Fresh reviews from vegans say the box is still worth it, but other people may find it too cumbersome. Small portion sizes: Other meal kits may send larger portions, and the portions from Hello Fresh may be smaller than you’re used to eating. Hello Fresh partners with in-house chefs to provide customers with fresh ingredients from local food suppliers. The company works hard to make sure that all the ingredients delivered are environmentally friendly, sustainable, and fresh. Produce is mainly sourced from family-owned farms, seafood is sustainable and ocean-friendly and meat and poultry are bought from farms with only the highest standards. Each box comes with step-by-step instruction cards and all the ingredients you need to make your selected recipes. You can choose between classic dishes, vegetarian-friendly recipes and meal kits to satisfy the whole family. All the ingredients you need for the week are included in the box except for salt, pepper and cooking oil. Ingredients are shipped in an insulated styrofoam cooler box with ice packs to keep everything inside fresh. Meat and fish are packaged in vacuumed sealed bags. The insulated packaging is designed to keep your food fresh for up to 24 hours after delivery. The meal kit boxes also sometimes include other cooking tips. For example, a box with a steak recipe might also include an extra card with tips on how to cook and cut steak for the best flavor. The Hello Fresh box, insulated liners and some of the plastic packaging are recyclable when broken down. All metallic plastic has to be thrown in the trash. Hello Fresh’s recipes are delicious and their recipe cards are simple, direct, and easy to follow. This meal delivery service offers a variety of both plant-based and meat recipes designed by experienced chefs. You can easily modify almost all their recipes to accommodate your diet and any food allergies. You’ll be able to find vegetarian, vegan and even gluten-free options. If you don’t see any vegan options you like, just chose to modify a vegetarian recipe that makes your mouth water instead. How much cooking experience do you need to have to use Hello Fresh? Zero. The recipe cards are designed to leave any guesswork out of cooking. If you’re an inexperienced home cook, you won’t feel intimidated following along. While other meal delivery services include directions that say things like “sprinkle a pinch of salt”, Hello Fresh tells you exactly what to do instead. How much is a pinch of salt, anyway? According to Hello Fresh, it’s 1/2 tsp. You’ll never be left scratching your head with the instructions you receive. 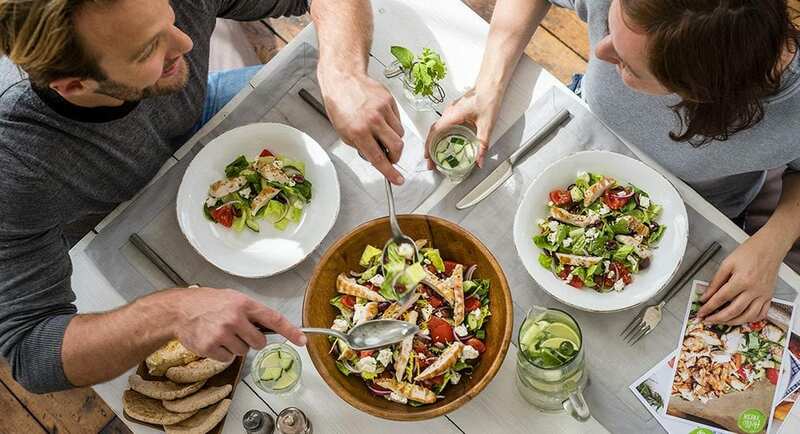 Whether you’re cooking for just yourself or a big family, Hello Fresh has a meal plan option that’s designed to be convenient for you. The biggest downside to Hello Fresh is that they don’t offer the widest range of portion sizes or flexibility in the number of recipes you want to be delivered. They offer three main plans that you can cancel at any time. You can also skip delivery any time you want. The vegetarian plan starts at $8.99 per serving (+$5.99 for shipping) and can be adjusted for two or four portions. This plan delivers three recipes per week with plant-based proteins, healthy grains and seasonal produce. Za’atar crusted grilled cheese with sumac roasted veggies. The classic plan starts at $8.99 per serving (+$5.99 for shipping) and can be adjusted for two or four portions. This plan delivers two, three, or four recipes per week with the widest variety of meat, fish and seasonal produce. Tuscan sausage and pepper spaghetti with tomatoes and parmesan. The family plan starts at $7.87 per serving (+$5.99 for shipping) and only offers four portions. This plan delivers two or three recipes per week and focuses on easy, delicious meals the whole family will love. Recipes are kid approved. Chicken pineapple quesadillas with pico de gallo and southwestern spices. After our Hello Fresh review, we don’t think any other meal kit delivery service can beat the taste of Hello Fresh meals. This service has some of the highest rated recipes. Every single recipe tested was rated “very good,” and there are tons of great Hello Fresh reviews from customers. 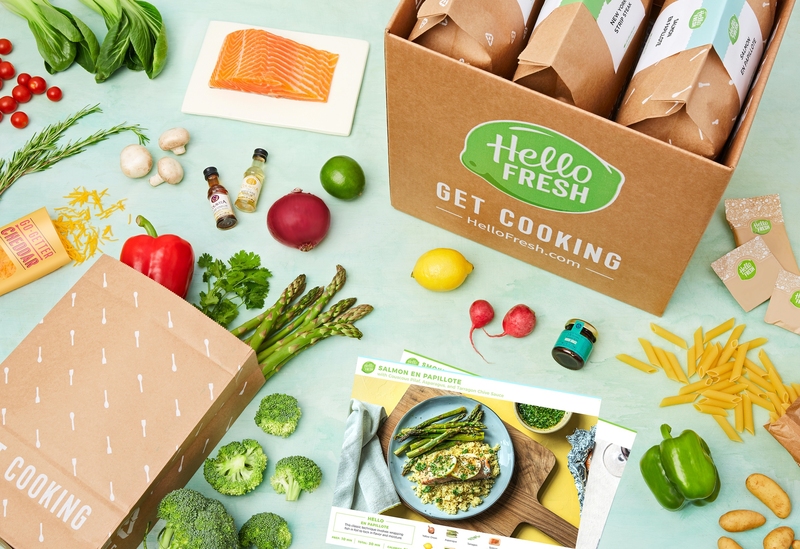 Because there’s a limited number of recipes you can order for the week and the number of servings you can choose, Hello Fresh is best for people who don’t want to use a meal delivery service full time. If you’re too busy to cook most weeknights and want to use a meal delivery service to make weekend cooking easy, Hello Fresh is a great option. It’s also great for singles. Because the minimum number of servings you can order is two, you could order the classic plan and still have home cooked meals every night. If you’d like to learn more, visit Hello Fresh’s website. Have you tried this service? If so, leave your own Hello Fresh review below. I love Hello Fresh. I thought I was a good cook, but hate cooking for just two people. Hello Fresh gives me just the amount of ingredients for two meals, twice a week. I love their seasonings and little additions to things I have been cooking for years.